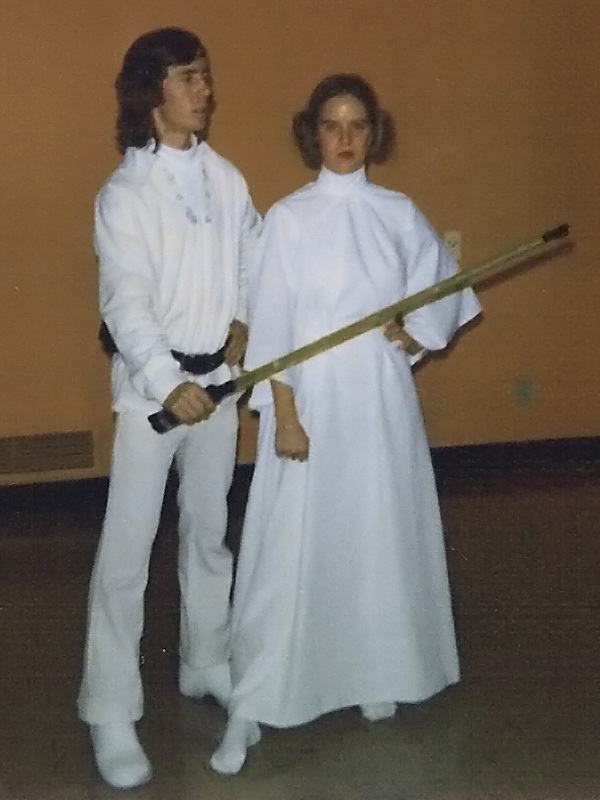 Homemade costumes, put together by my mom. 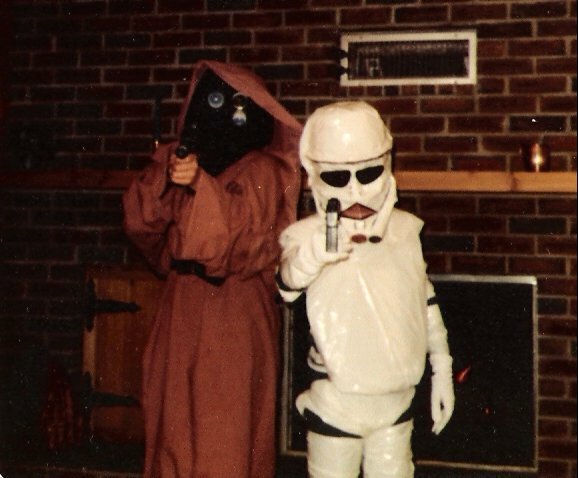 I’m the relatively tall jawa, my lil brother was the relatively short stormtrooper. The stormtrooper costume was basically made up of a plastic mixing bowl (top of helmet) and white garbage bags. There’s a Chewbacca costume made out of garbage bags here. 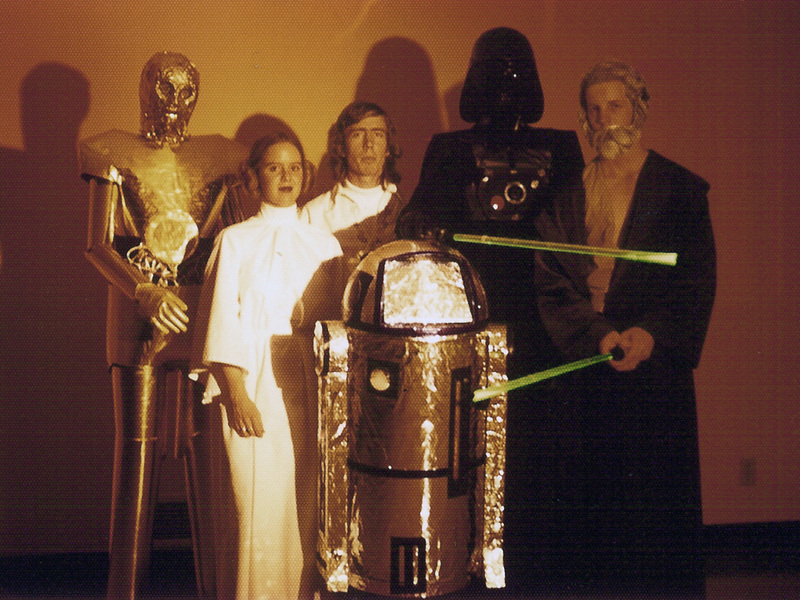 A group of University of Washington college students made their own Star Wars costumes for a Halloween party in 1977 and staged a skit at the party. 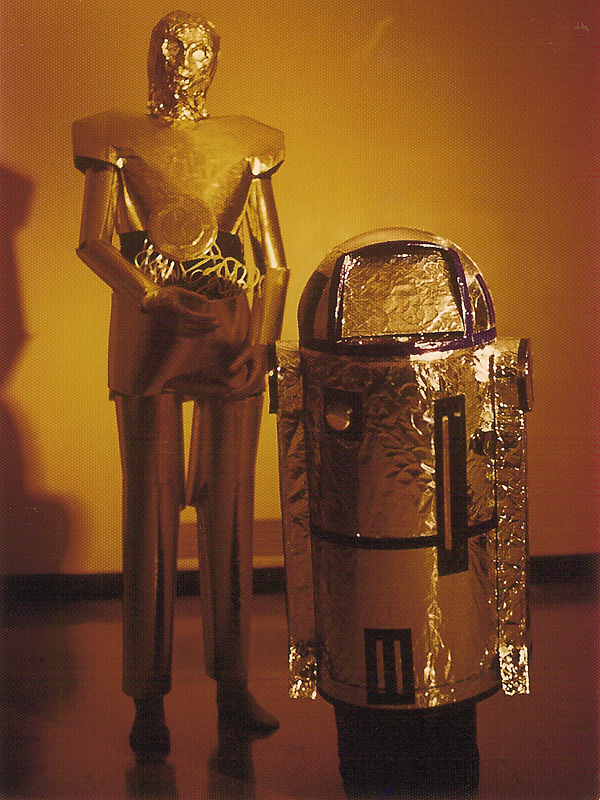 Andrew Siguenza was R2-D2, and the highlight of your day is his Flickr album of the party and costume prep. Every time I think I’m too tired to go on with the blog, I find something like this. Via King Max/Flickr. 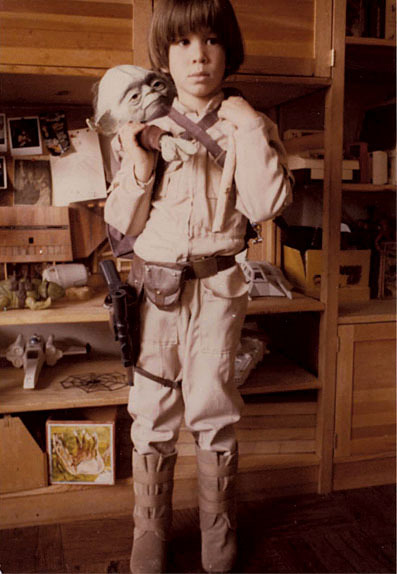 The second greatest Star Wars costume I’ve ever seen, next to this one. It’s October, people. We’re just getting started. If you’re new-ish, take a stroll through my Halloween archive. Since my last post about The Oracle reprint, Tim Hutchings has sent me a review copy of the reprint, and it does not disappoint. When Tim says that the zine was “almost single-handedly” created and published by teenager Christopher Bigelow, it’s not an exaggeration. Bigelow, who wrote a comprehensive introduction to the reprint, put the zine together with a word processor on loan from his dad’s secretary, served as the entire editorial staff, contracted all the contributing talent, and wrote many of the articles (under pseudonyms)—while still in high school! The Dungeon of Kroom Level III, Sarah Richardson of the Ennie award winning Contessa blog. The Medieval Town in Literature, Timothy Connelly, frequent contributor Gygax Magazine among others. 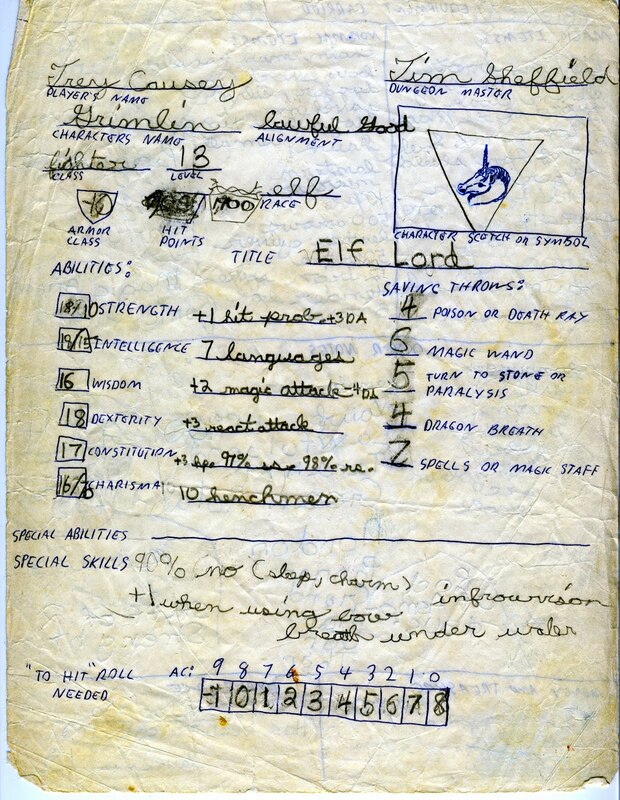 New AD&D Character Class… This is the one which makes me so invested in a sixth issue. A sadly departed gamer who wrote up a proposal for an Oracle article on the Empath character class will have his article finished by his son. Expanded Crossbreed System, Erol Otus. Yes, THE Erol Otus. 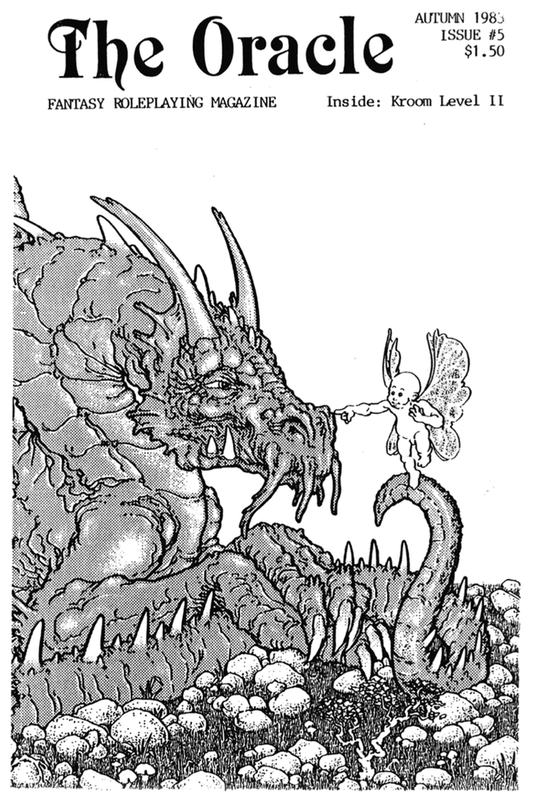 The man whose artwork defined D&D for me and maybe most of a generation. I grow giddy at the prospect. The Erol contribution will be based on his crossbreed rules for the Island Town game scenario. Right. And all we need is “$100 of monthly contributions lined up” to keep the PlaGMaDA archive going. It’s a good cause, and you can go here to back and donate. A PDF copy of the reprint is only 5 bucks! If you’re on the fence, here’s one more interesting note. 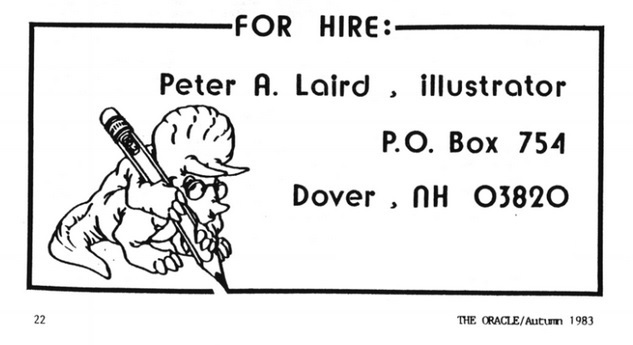 As I was perusing my review copy, I ran across the below ad (phone number edited out) in the last two Oracle issues. 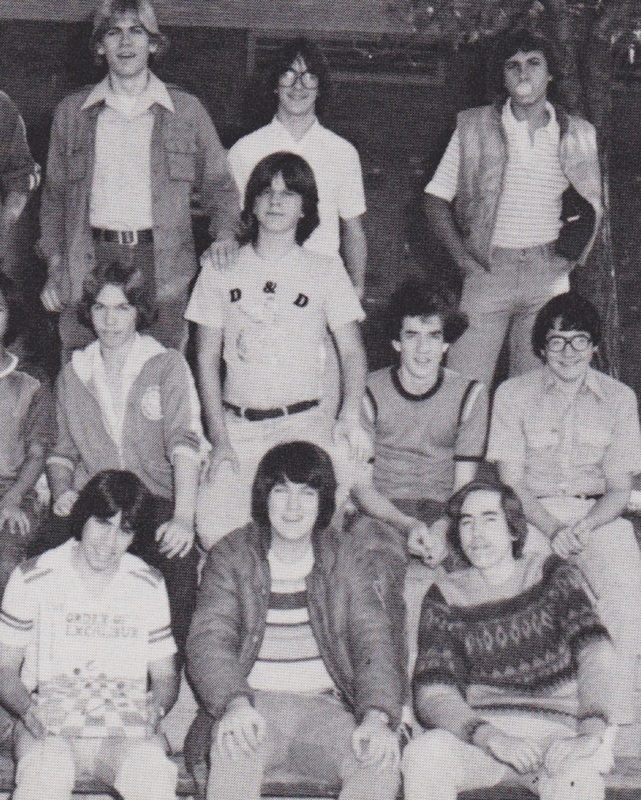 The graphic on the D&D shirt appears to be the same one the kid in this D&D Club is wearing. The letters are iron-on affairs, so my guess is there was a generic dragon shirt on the market at the time, and the kids had mom press on the letters. Another homegrown D&D shirt here. Lots more D&D Clubs here. 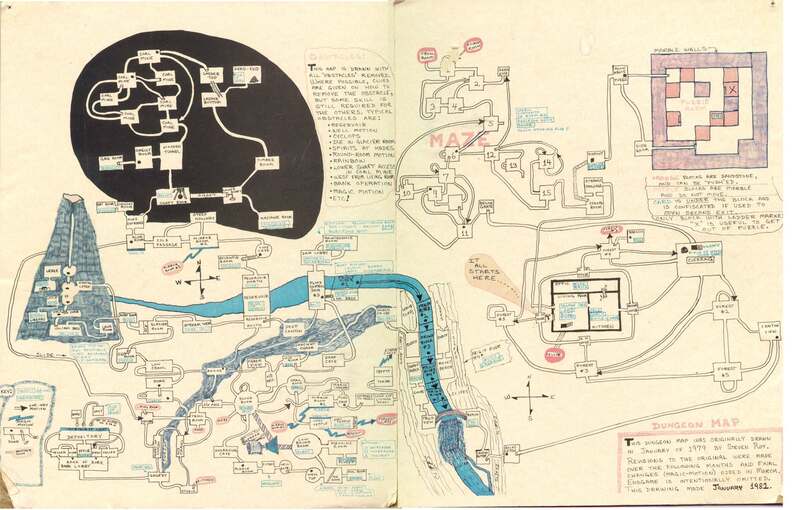 The Oracle was a well realized, very ambitious fanzine put out almost single-handedly by Christopher Bigelow, a Mormon teenager, in 1982 and 83. It is an excellent example of the type and includes original adventures, rules offerings like new character classes, and reviews of other periodicals and rules systems and movies. 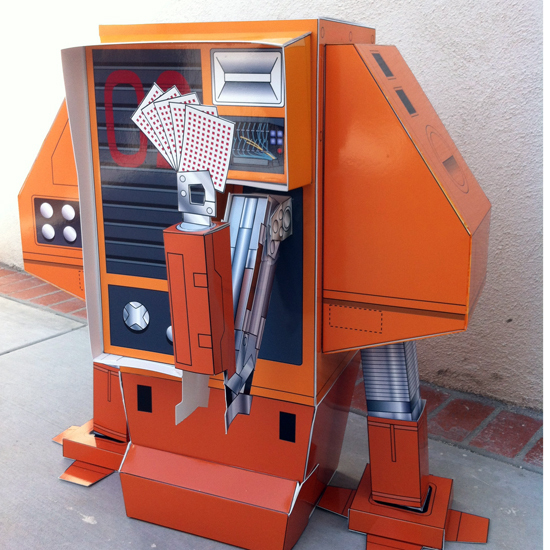 This project should speak to gamers, nostalgia seekers, game historians, and zine fanatics. Check out the Kickstarter and read the first issue of The Oracle right here. Take your time. 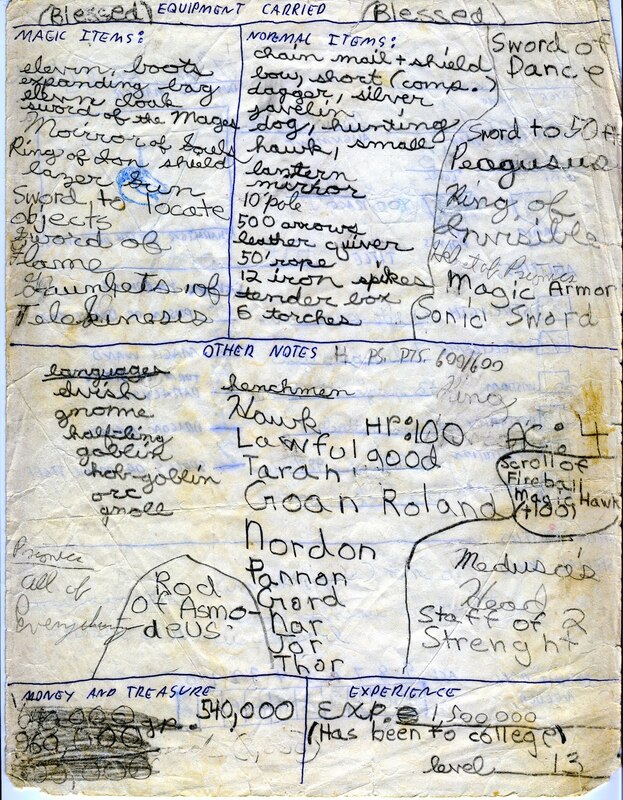 There’s lots to see, including the “Bank of Zork” (a D&D-universe bank is here), “Atlantis” and “Grail” rooms, a “Smelly” room, lots of pre-Goonies slides, a Coal Mine, a Pengo-esque slide-the-blocks maze, a “Cryptt,” a “Tombb,” a “Foreest”—click to enlarge and get started. The master cartographer is Stephen Roy, who worked on it over the course of three years, and the map is via Cluster 8’s Flickr. 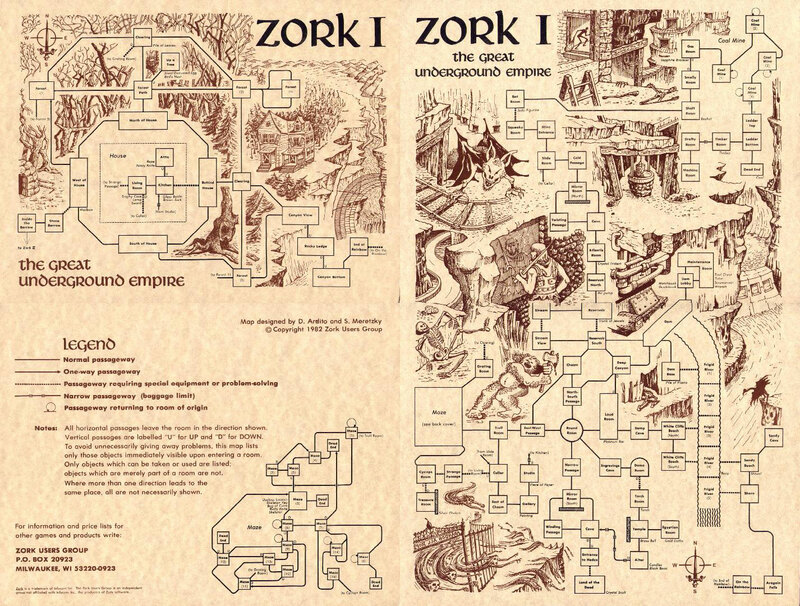 UPDATE: This is actually a map (see below) of Zork I, a text adventure originally released in 1977. The original DOS version did not come with a map, hence the incredible work you see above. Thanks for the heads up, David Augustyn. 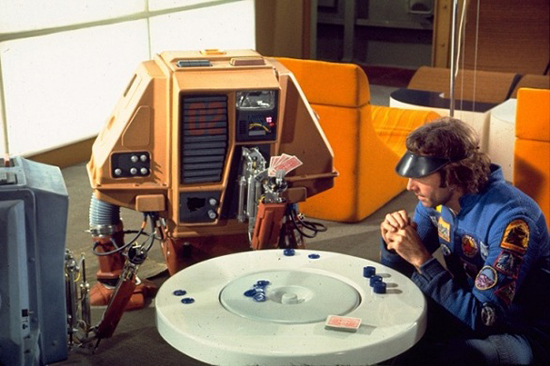 The best part of the eco-sci-fi drama Silent Running (1972) is watching Bruce Dern’s character, adrift and alone in space, interact with the three service drones he programs to do various tasks, one of which is playing poker. 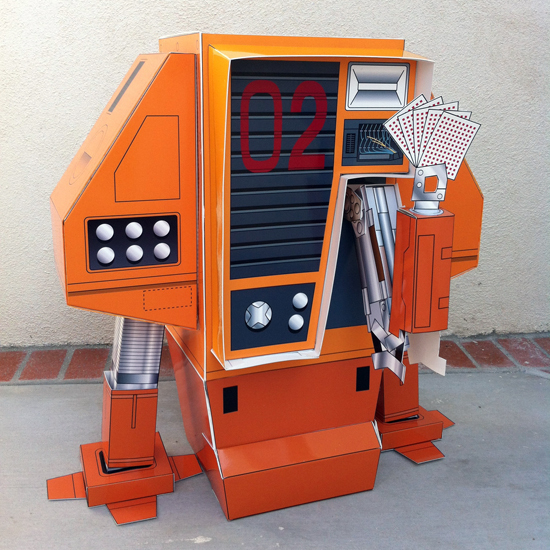 Years ago Greg at Lefty Limbo found some “dinky” papercraft models of the robots (Huey, Dewey, and Louie) and decided to make one of them—enlarged to life-sized proportions. The impressive end result, minus some hydraulic hoses, is above, but you should read the whole story and check out all the work he put into the project here. There’s a lot to love about Grimlin and his myriad possessions (and “henchmen”), and everyone is going to have a favorite bit. For me, it’s the parenthetical four words under experience points on the bottom right of the second page: “(has been to college)“! Send it all to PlaGMaDA, Trey! Grimlin deserves nothing less than immortality (although, honestly, he’s pretty much there already).